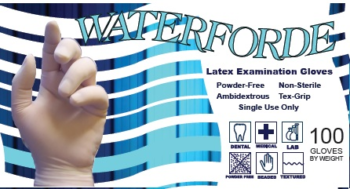 Thanks to online polymerization and chlorination, the premium Waterforde powder-free exam latex gloves are ideal for professionals who’ll need to wear them for hours each day. The palm area through the fingertip has double-textured grip surface for optimum control. 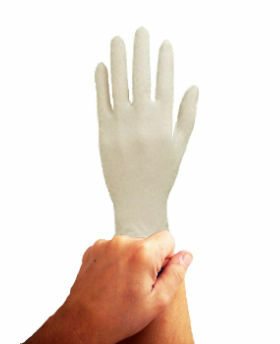 Superior modulus and tactile sensitivity make this the ultimate powder-free latex glove.